Manufacturing businesses in the UK are being urged to embrace the Internet of Things (IoT) in order to remain competitive, as the manufacturing industry continues to evolve at rapid pace. The rallying cry comes from business solutions provider, K3 Syspro, at a time when the International Data Corporation (IDC) has revealed that the IoT market in Central and Eastern Europe, the Middle East and Africa (CEMA), is expected to expand 22% by the end of this year, reaching $14 billion in total value. However, with this industry change comes a whole host of challenges for manufacturing businesses including connectivity, cloud storage, automation, and data analysis – challenges that must be overcome quickly if manufacturing businesses are to implement successful IoT strategies. K3 Syspro’s managing director, Cathie Hall, explained: “Whether manufacturing businesses are ready for the IoT or not, it is already starting to be implemented across factories nationwide. Many manufacturing businesses already operate predictive maintenance, and have taken steps to enhance the connectivity of their business critical systems inside the plant. 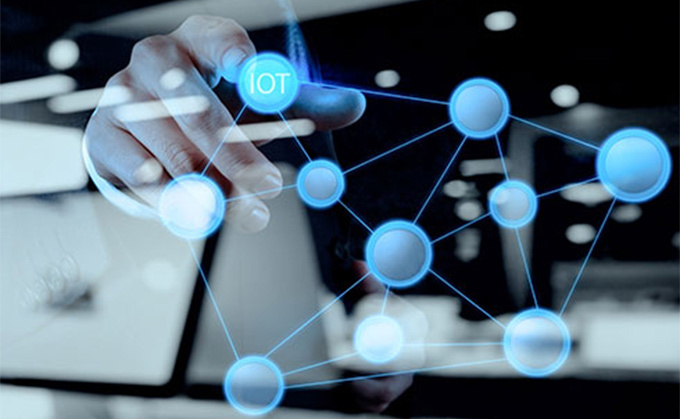 The advice from K3 Syspro is for manufacturing businesses to take small steps towards IoT adoption, rather than taking a big bang approach to factory automation. Integrating the factory floor to Enterprise Resource Planning (ERP) systems, and business intelligence applications, can start to better connect suppliers, customers and end users in the value chain. The latest version of SYSPRO ERP is modelled on Windows 10 technology and highlights the ascendancy of the Internet of Things, with mobility and devices that are all key elements in the application’s roadmap. K3 Syspro also has its own DataSwitch tool, which can aid Internet of Things adoption by seamlessly integrating data and connecting systems, to generate one single version of the truth throughout an enterprise. Tin box and canister manufacturer William Say & Co is one business that is already utilising DataSwitch and the Internet of Things, to process data from EDI files and database transactions into its SYSPRO ERP solution for processing, while performing all operations within one single piece of software. Cathie Hall’s advice is for manufacturing businesses to talk to technology experts in order to better understand the beneficial role of IoT in the modern supply chain, and utilise it to its maximum potential.